The perfect probiotic lacto fermented beverages class for beginners or intermediates. Learn the art of Kombucha brewing along with other fermented beverages. In the class, we will be looking at Kombucha brewing and we will also spend time looking at other drinks, such as dairy kefir and water kefir. You'll gain a better understanding of lacto fermentation, as we look at preservation, the natural way! Kombucha is an all-natural, raw fermented tea, milk kefir is a cultured dairy drink and water kefir is a water-based version. They are all a delicious dose of goodness for your gut, low in sugar and packed full of beneficial acids, lactic bacteria, enzymes and antioxidants. They are both known to carry the highest variety (up to 40) of lactic bacterial strains. 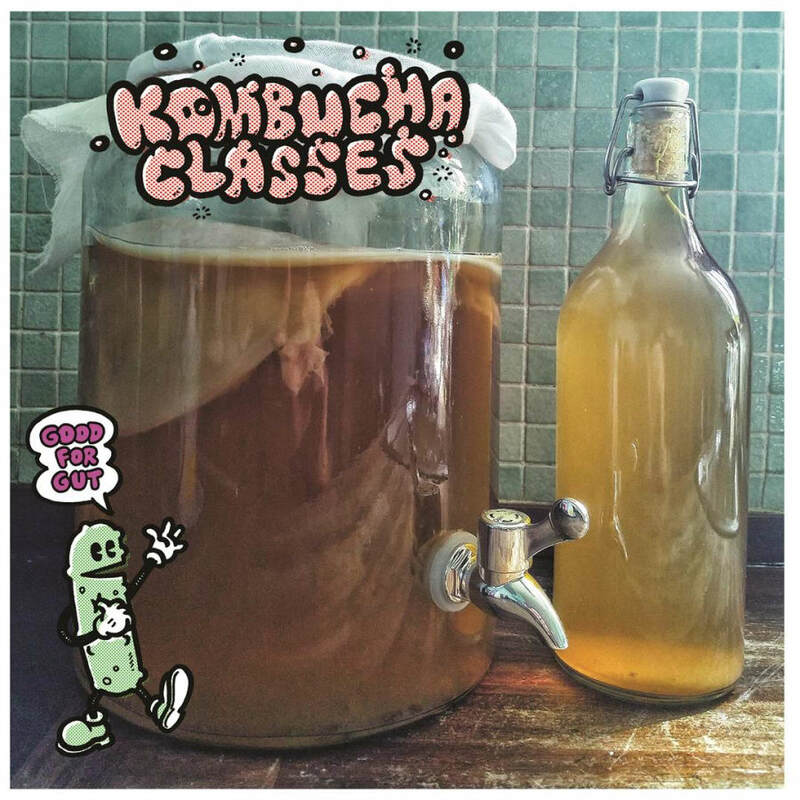 In our small classes, we will discuss everything you need to know about fermenting and brewing your own Kombucha at home. You'll receive your own scoby to take home with you, to begin brewing Kombucha. You will also receive kefir grains to make your own dairy kefir & water kefir at home. During the workshop, you will get to try several different flavours of Kombucha and kefir we have on the go as well as enjoy some light snacks & fermented vegetables. 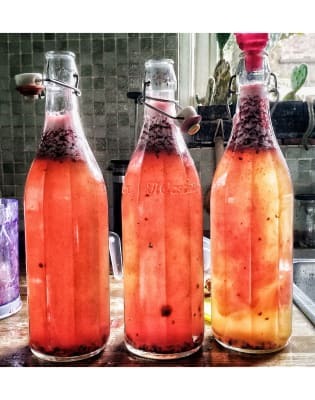 You will learn how to create your own Kombucha flavours, how to create the lovely natural fizz, how to care for your scoby & kefir grains, maintain and grow them so you may produce kombucha and kefir endlessly. You will leave with recipes and the knowledge to experiment further at home. This stuff tastes a lot better than anything store-bought, most likely contains more beneficial bacteria. It will save you a lot of money in the long run if you're buying it from stores at the moment! -Venues- Our 2 locations are easy to get to in Dalston with 2 stations in walking distance & many bus routes. or Walthamstow which is close to the underground station on the victoria line , the over ground station and many bus route. Good bacteria in fermented foods produce neurochemicals that can dramatically benefit our health and even affect our mood by making us happier. Scientists are shocked by what they have discovered in the past twenty years: good bacteria in the gut can even influence your behaviour! We learnt all about Kombucha, Scobies and Kefir, got to taste loads of different flavour Kombucha and even took home our own scobie and kefir culture to make our own at home along with a thorough guide for us to follow. It was a fun, relaxed setting (the venue was ace) and our teacher Adam was incredibly knowledgeable and super friendly. Would definitely recommend to anyone interested in kombucha, fermentation or gut health . Great workshop! Learnt the A to Z of Kombucha and got to try an amazing selection of seriously delicious pre-made Kombucha all different flavours. We were all given out our own scoby to take home so i’m now fermenting my own kombucha - just cant wait to try it! Very friendly, knowledgeable teacher, it was a great evening! Really loved the kombucha workshop - a great way to spend a Sunday afternoon, AND I made a fantastic batch of kombucha of my own the next week. 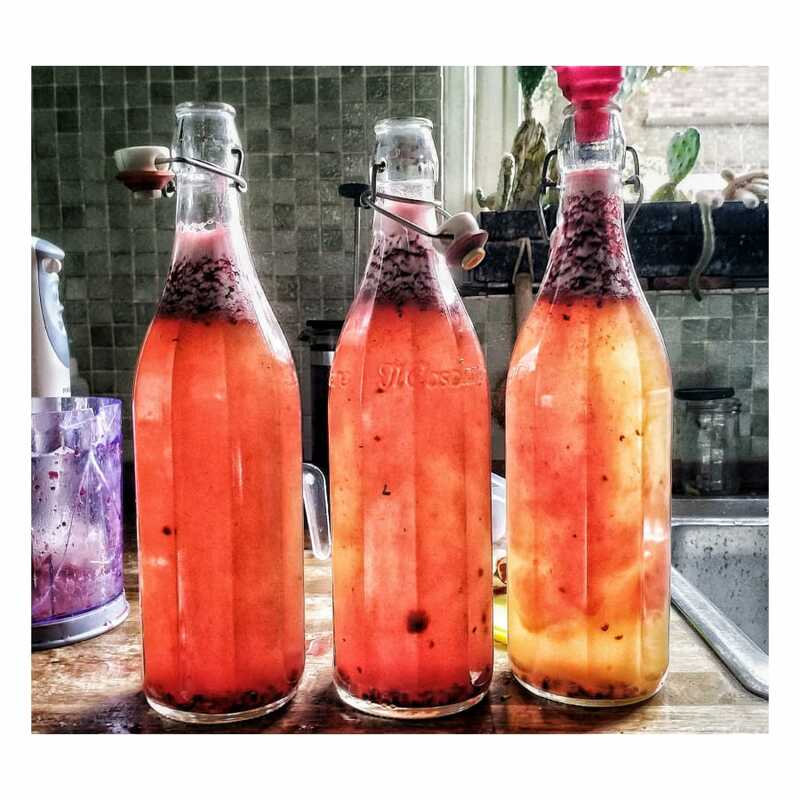 Really pleased with my own kombucha-making skills now and would highly recommend this workshop to anyone who wants to learn more about fermentation. Venue was easy to find and lovely as it smelt of bread Teacher, Adam was very informative and had good time keeping. The lesson was interesting and I learnt quite a bit. Great class, fun and informal. Adam is very knowledgable and friendly. Venue really good. It was useful to see, taste and learn about lots of different examples of kombucha and kefir, also being able to take home our own scoby and kefir grains. I'm looking forward to making my own! Thanks! Very knowledgable, fun and lots to try! Would thoroughly recommend. Very informal and relaxed evening which was full of information and plenty of tasters. Cultcure is a food organisation that is passionate about slow food processes like lactic fermentation, dehydration & curing. Working with time, ageing and the microorganisms around us to create delicious flavours and incredibly healthy foods. Adam's journey into fermentation began over 10 years ago through an interest in slow ageing and preserving food. 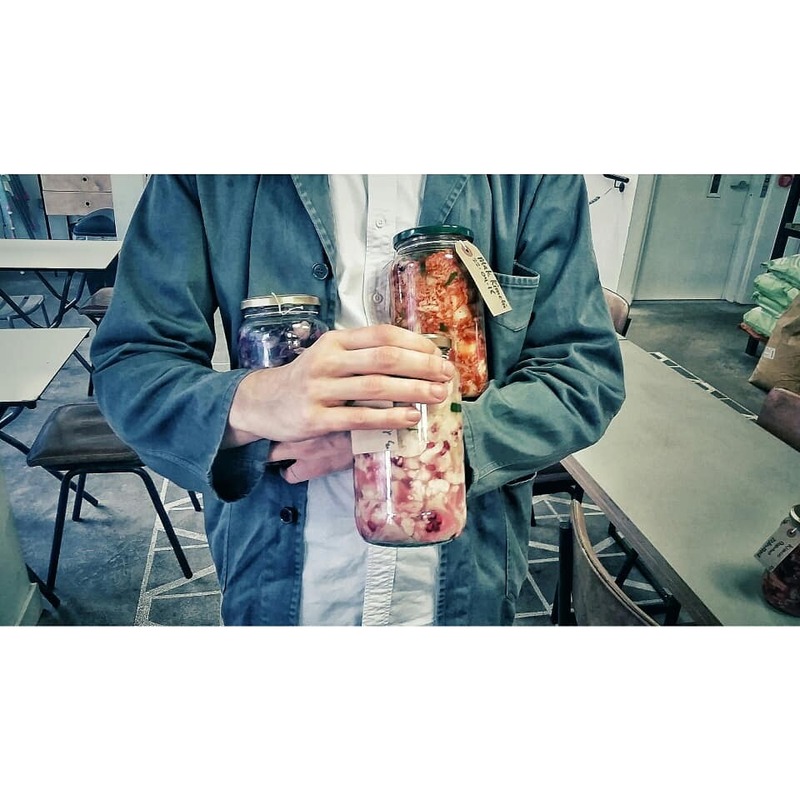 He started Cultcure initially as a meat curing project which promptly led down the road of vegetable fermenting and kombucha making. He is highly versed in various fermentation techniques and their nutritional value. Adam is fascinated with fermentation and the bacterial & microbial worlds around us and their remarkable effects on flavour, health and preservation. We work in different locations around London and currently offer classes in Dalston at the Dusty Knuckle bakery and in Walthamstow at Today Bread. Both bakery's are true sourdough bakeries making phenomenal bread that is close to our hearts also working with wild yeasts and bacteria around us. We also offer private tuition, classes and consulting to the industry and restaurants. If youde like to get in touch please do so through the contact link. "We are family" sang the microbes. Everything is provided for you: Glass jars and your a scoby & kefir grains, ingredients for your first batch, utensils, aprons etc. There's no need to bring anything to except a bag to transport your jars of cultures home with you. Recipes will be provided at the end of the class to take home with you. Please do let us know before attending the class if you have any allergies or dietary requirements, we can cater for your needs from vegan to celiac to Autoimmune and more. Tickets are transferable into a different person's name or to a different date should you be unable to attend please try to give us 21 days notice of changes to tickets. Tickets are not exchangeable for another date less than 7 days prior to the event. Unless you can convince me otherwise.